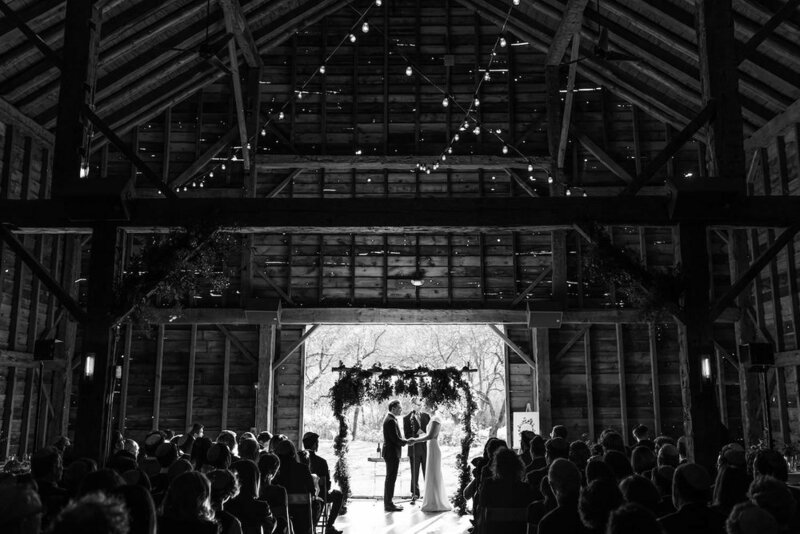 The Handsome Hollow wedding barn has soaring ceilings, original post and beam construction and elegant details. Originally built 240 years ago near Albany, New York, the structure was a working dairy barn until the spring of 2014 when it was dismantled and cleaned for relocation. In October 2014 the timbers were delivered and the frame assembled on site in 10 days. Over the following 8 months local craftsman worked on the barn and the grounds until completion in July 2015. With over 4000 Square Feet of space, the barn comfortably seats 150 people. There are two bathrooms, each uniquely designed. The siding is an antique silver-grey barn wood with a standing seam roof and cupola.